Beyond aerodynamic efficiency, wings bring one special, not so obvious quality to multihull sailing — flotation. The forward element and each of three flaps in the aft element of an AC 45 wing are airtight and buoyant. As long as the wing stays in place, the boat will not turn turtle. Think thin, clear plastic film heat-shrunk over super-light, Nomex-cored carbon frames. I’m figuring the rest of America’s Cup 34 floats, too, but that’s not for lack of doomsayers on the sidelines. Fair to say, there is a collective holding of breath as we approach the August 6 opener of the new-look America’s Cup, seven days of fleet racing, match racing and speed trials in Cascais, Portugal in one-design AC45 catamarans. The inaugural event of the World Series tour will set expectations. Competition begins in an atmosphere rife with speculation over the future of teams that are betting on the come. One, Venezia Challenge, was recently scrubbed for failing to pay deposits and failing to pony up the $1.1 million or so to pay for an AC45, making it two-for-two down from Italy. The got-a-billionaire-in-our-pocket teams — Oracle Racing and Artemis — we take for granted will be on the line with custom AC72s in 2013. The commercial teams, the ones that actually fit the espoused model of a professionalized circuit, are not to this point rolling in sponsorship dollars. Nor is the World Series tour. Nor is the Event Authority. Cascais needs to be, not just a good show, but a great show. Here are the Team Korea crewmen on their feet . . .
We are well beyond the honeymoon phase with the new architecture, if there ever was a honeymoon phase, and Event Authority bashing is gaining a life of its own. Despite the best efforts of a few players who do not fit the ACEA employment profile of widely-scattered and San Francisco-blind, there is no warm-and-fuzzy, so-glad-you’ve-come-to-town aura around America’s Cup Event Authority. As to the future, much depends upon results on the water. I’m figuring that ACRM, America’s Cup Race Management, has done its work to give the Event Authority and the commercial teams something to sell. The sailing in Cascais should prove that pudding or not. 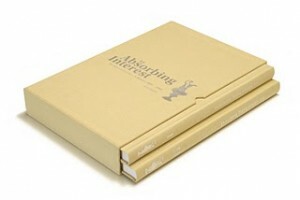 Then it depends upon results in the boardroom. We’ll be looking to the salesmen for results, won’t we. And it’s early, of course, to expect things to all come together, just so. Among those who keep a nose pressed close to the glass, I observe considerable grumbling about the Event Authority’s grasp for control of media and distribution, and I am reminded of Valencia, 2007, when the Defender, Alinghi, informed one Bob Fisher that he could not include the words “America’s Cup” in the title of his definitive history, An Absorbing Interest. Well, every sport is entitled to its silly season, and no Cup goes unfustigated, and no Defender goes un-assailed. Russell Coutts and Larry Ellison have gone to the wall to reinvent everything with America’s Cup 34. It’s still early in the ride. And the AC45s are a helluva ride. We expect no less of the AC72s that will be the vehicles of Cup competition. Note top gate and bottom gate, all about opening things up. 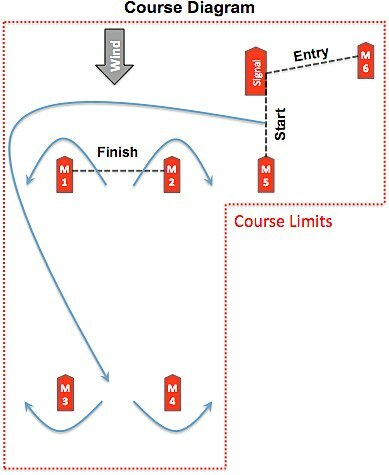 Course boundaries are created and monitored electronically using the souped-up GPS system developed by Stan Honey and friends. To achieve accuracy it employees an RTK or carrier-phase GPS receiver integrated with a fiber optic gyro-based inertial navigation system and a very high sampling rate. At first it was just for the TV cameras, then it turned out to be good enough for electronic umpiring. In Cascais, the show debuts in real racing. It’s not a test event, this time. 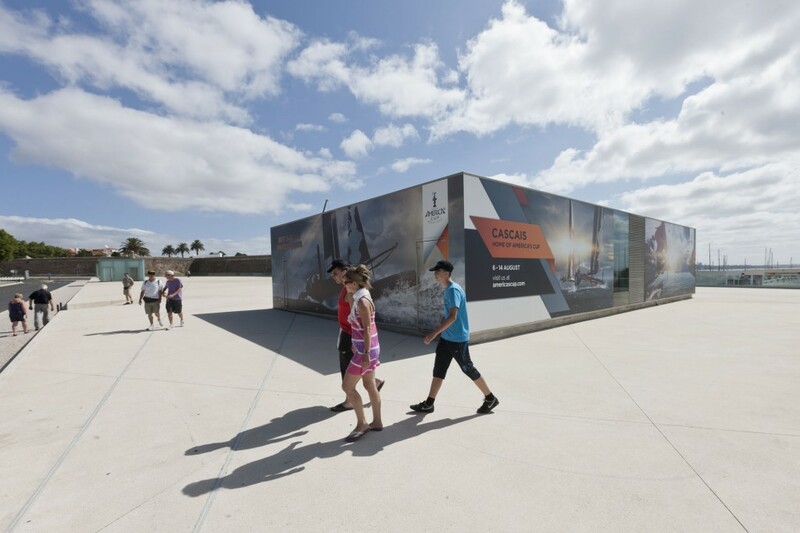 Here in the Oracle Racing zone in Cascais we find a reminder of why 45-foot catamarans can be shipped in 40-foot containers . . . 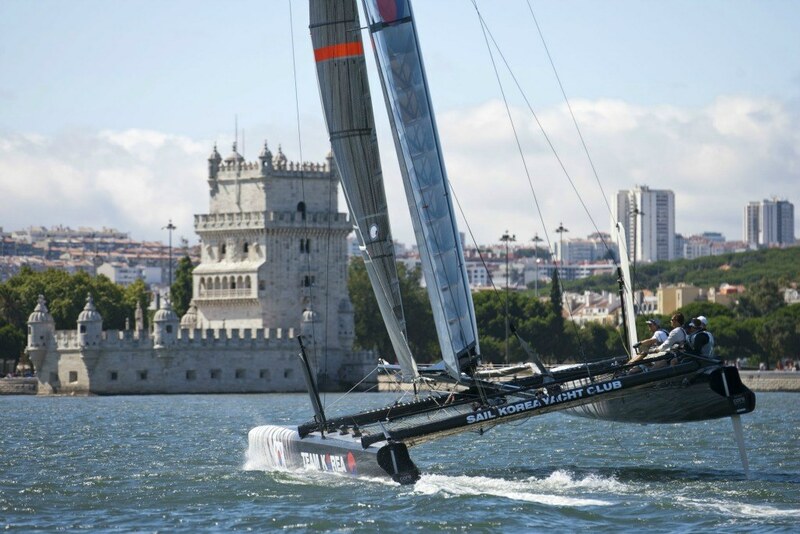 Reportedly, China team will be out on the waters of Cascais this first week of August, along with Oracle Racing, Artemis Racing, Emirates Team New Zealand, and the rest of the fleet, now moved down from Lisbon. Not that China Team is looking very Chinese at the moment. For Mitch (“I’m the helmsman, which is probably the only thing I’m capable of doing on these boats”) Booth and his handpicked team, the assigned task is to learn how to race an AC45, bring in and train Chinese teammates, and work themselves—or as many of themselves as possible—out of a job. Booth, a two-time Olympic medalist with ten world championship titles in multihulls, is an international who has gone from being Australian to Dutch to, now, semi-Chinese. There is no sense that Oracle Racing or ACEA care to nourish the rival Extreme 40 catamaran circuit (Ernesto Bertarelli, Alinghi, has an investment there), but the other two of the “big three” in the AC lineup are sending teams to England to race in the Extreme Sailing Series that begins at Cowes on (coincidence?) August 6. Glenn Ashby, Ray Davies, Winston Macfarlane and Dean Barker will represent New Zealand at Cascais, racing the team’s AC45 catamaran against nine other yachts. At Cowes, Adam Beashel will race with Chris Ward, Richard Meacham and Andy McLean in the Extreme 40 catamaran. Here’s the team readying Mr. Barker’s ride . . . 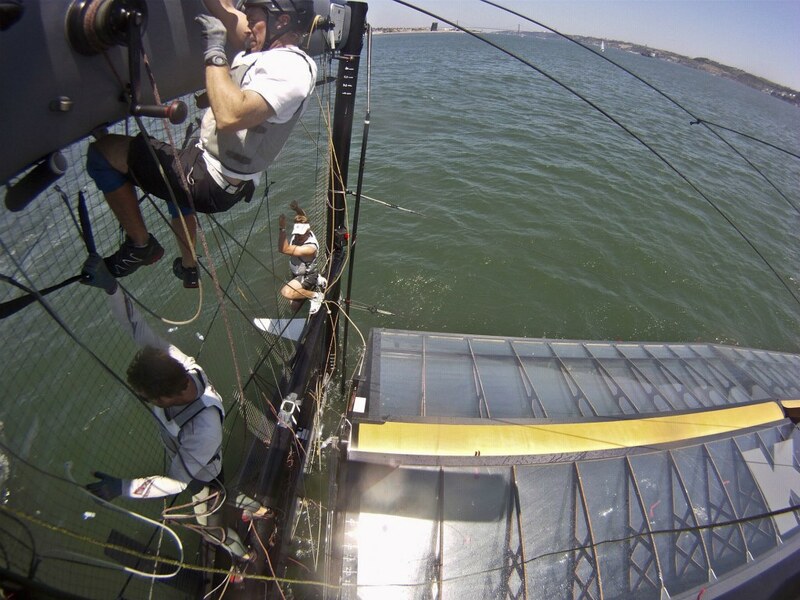 The Defender, Oracle Racing will double up by fielding two AC45s to race in Cascais. Russell Coutts skippers AC45 5 and Jimmy Spithill skippers AC45 4. These are the boats we saw testing and training in June on San Francisco Bay. Coutts dragged down heavy publicity for auguring-in before the cameras in the Alcatraz Channel in June, but, the Extreme 40s were the darlings of the internet during a pitchpole fest at their windy regatta in Qingdao in April. I’m under the impression that Coutts et al considered Extreme 40s for the World Series but rejected them because they can’t stand up to the wide range of wind conditions in-demand for World Series racing. But they’re bell ringers for crash-and-burn. And so, it will be a duel for column inches and broadcast minutes.